Neverending fun is guaranteed with our Season Games! The best season free games are waiting for you at Miniplay, so 3... 2... 1... play! Know our Christmas Games, Santa Claus Games and San Fermín Games, choose between lots of games and press play! Do you want to know what it feels like to run in front of a bull? Help this guy from the Spanish city of Pamplona complete runs in every country. In this version of Bomberman, characters from the Spongebob series are disguised in Halloween costumes. Place bombs on the way to clear the zone and get rid of your rivals! Enjoy this new version and its upgrades! Choose your favorite anime character and get ready to face dangerous zombies. Put your fighting skills to test and obliterate them all! Discover this bloodshot third-person survival where you must do what it takes to be the last one standing. Clear every mission, send dozens of hungry zombies back to their tombs, look for new weapons and stay alive for as long as you can! Don't let them touch you and live to tell the tale! Get your skis, ice skates, snowboard and Make your records on the ice. Just tap on purple and yellow strips to make score. Tap and hold for power booster. Draw Play returns with 20 new Christmas themed levels! In each puzzle you must either collect all 3 gifts or navigate Santa to the tree. Draw a path for Santa to walk on and make sure to avoid all of the deadly obstacles. For an extra challenge try to complete each level using as little ink as possible. Enjoy the holidays driving sleighs packed with presents! Collect some more on your way, dodge your rivals and be the most generous player in the North Pole! The Momo Challenge is to solve it's puzzle! Complete this sinister puzzle with the creepy face of Momo in less than a minute. Move the pieces to their correct position and try not to die of fear. Terrifyingly funny! The dangerous ghosts and creatures in the underworld are hiding behind each corner, ready to get you at any time. Use your wits and a blaster to face them! Shoot, kill and stay safe! Defend your human against the ghost attacks! Slash away all of the ghosts trying to attack the sleeping human. You get to chances to keep the boy sleeping through all 9 nights in this spooky halloween game. Happy Halloween! Enjoy the first interactive multiplayer game developed by Google Cloud. Just start exploring one of the spooky maps and try to collect as many spirit flames as you can in just 2 minutes! Once you get back to your base, the team that has managed to collect the highest number of flames wins. Remember your enemies can take yours on the way, so be as careful as you can! An army of zombies is determined to tear this town to pieces. Fortunately, this ranger has a jetpack and a cool arsenal of weapons. Join him while he wipes them out with lasers, bullets and freeze rays in this wild adventure game. It’s a very cool game, to destroy zombies, and you have a bazooka with super bombs. Save the whole world by clearing the planet from zombie invasion. This game has 20 levels with a gradually increasing degree of complexity. Version of the classic Zuma! Help the witch to throw the colored pumpkins and group them in groups of at least 3 of the same color to be able to eliminate them. Test your aim and eliminate them all before the end of the course. Have fun! Collect the falling brains to extend your life as you dodge all of the falling bombs. Attempt to survive for as long as possible as a zombie while the humans show their hate. As time goes by bombs will drop faster making your odds of survival even smaller. Have fun with this unique basketball game where you must break a few bones to score! Launch your own zombie body parts and aim for that basket! Help the Count stay away from the sun! The countdown just started, and our favorite vampire got caught in the middle of it. Reach the rubber duck before turning to dust! When Penny started going out with Leslie, Gumball went mad with jealousy. Now his green spirit is haunting the school! Use some magic powder to catch him before something bad happens! Waves of bloodthirsty zombies have taken over the city and destroyed it all! Only you can fight back -- there's nobody left, and you're our last hope. Collect the weapons on your way, crush them all, watch your back and keep your eyes open at night! Discover this multiplayer zombie survival that takes place in really dark stages. There's a noise meter -- each action triggers all sorts of sounds, and when the meter is full a zombie will come for you. Try to collect weapons on your way and watch your back in order to survive! This game is exactly what you'd expect -- an epic FPS where you must use a sniper rifle to get rid of dozens of zombies. There's a time limit for you to kill as many creatures as possible, so watch the clock and aim for a high score! Are you ready to scream? Try to run away from evil Slenderman in this dark night. 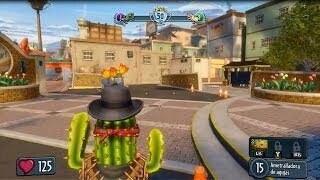 Move around an empty city and collect all the weapons you can find! Get ready for action and hunt down Slenderman! Move around dark maps, keep your weapon steady and complete your mission before it's too late. Try to survive! Discover this amazing FPS where you must protect your city from the deadly zombies! Hide behind the barricade and try to get rid of the creatures as fast as you can by moving left and right. Spend on new weapons and equipment, clear every stage and stay safe! Grab your snow boots and head to the snowboard track in order to put your skills to test! Aim for a high score and stay safe! Have fun with this 3D survival game based on Minecraft. Collect essential items to survive, watch your back and defend yourself from hundrerds of bloodthirsty zombies. Try to get a car to make your escape easier and enjoy 3 different game modes! Enjoy this multiplayer game -- grab your skis and enjoy racing down this snowy mountain! Dodge all sorts of obstacles and find your way between the flags before your rivals! Help Adam in this new adventure where he must fight dangerous zombie kittens and survive while solving puzzles. Find Eve! Help Santa join this annual sleigh contest! Manage to get as far as you can in 3 shots -- try to defeat your rivals purchasing all sorts of upgrades and win! Do you have what it takes to create a Christmas melody? Find your way around this maze without crashing into the walls, collect gems and get as far as you can. Ho, ho, ho, Merry Christmas! Santa is late for the gift delivery because he's being chased! Run as fast as you can, collect coins and complete your mission! Enjoy this classic during Christmas! Send a little Santa around the game screen using two candy canes and manage to score! Both single-player and two-player modes are available. Are you having a boring day in the office? Enjoy this classic solitaire -- arrange the cards on the board in this Christmas version! Survive in the middle of this zombie invasion! Stay safe as hundreds of creatures come for you and find a way to unlock new armor. Get rid of them all before it's too late for humankind! Just when it looks like the Necromancer has been defeated, Sam, Amy and Leo find themselves in an unknown new place. They will have to face new dangers, strange enemies and concealed traps in order to reach the gloomy Pixel Crypt. Control the party and help them escape in this 8-bit 3D adventure inspired by the 80s. Enjoy the second part, The Secret of the Necromancer , from this original saga of the MiniPlay team. Answer in time and correctly to the math operations and get this zombie cowboy to stay balanced at the animal's back of your choice. Get the highest score and show your awesome mental agility! Carla needs your help to get her apartment ready for this unique night. Find the hidden Halloween objects and enjoy! Halloween is coming, and these kids in costumes are ready to take over Crazy Dad's house! Help him stay calm by finding enough candy for them all. Good luck! Enjoy this sequel -- control a wizard with a huge bazooka, aim and destroy the monsters in each stage! Some of them will be hiding, so try to make the bullets ricochet taking physics into account. Clear all 18 stages! It's the Halloween night and you must save all the graveyard's monsters hanging in the gallows. Aim your bow and give the right angle & force to the arrow to cut the rope that keeps them trapped. Improve your aim and save all the mummies, zombies and other undead on Halloween time! Enjoy this sequel - it's even bigger, bloodier and better than the previous one! In a post-apocalyptic world where mankind is in the verge of extinction, your only mission will be to fight for salvation. Aim and put your courage to test against your enemies in this wonderful FPS! The Apocalypse is near in this new version! Hundreds of zombies are coming for you, and your only chance of survival is to reach a fortress south of your current position. Build a powerful vehicle in your garage and manage to reach your destination! Do you love scaring people? In this game you can be a ghost who lives in a quiet manor. However, you're disturbed on Halloween, because someone wants to buy the house. Possess the objects near the visitors and move them to scare those noisy humans. Nothing can stop a bunch of hungry zombies... Except some tall defense towers and lots of bullets! Be fast if you don't want to get caught! Enjoy these new upgrades! Choose your favorite anime character and get ready to fight dozens of bloodthirsty zombies. Put your fighting skills to test and obliterate them all! New levels and a new story available! You reached the helicopter and survived, but the apocalypse isn't over yet. Ride your car in search of a safe town and run over zombies. Enjoy this new version and its upgrades! Choose your favorite anime character and get ready to fight against dozens of bloodthirsty zombies. Put your skills to test and obliterate them all! 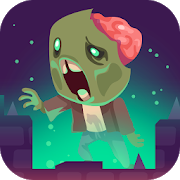 Protect your kingdom from hordes of evil zombies! Build defense towers, arrange your soldiers in position and set traps in order to get rid of the intruders. Get ready for some action! New levels available! Enjoy defeating monsters in Paradise with the help of these cupid kittens. Both single-player and two-player modes are available. This version of well-known Angry Birds is full of brains! Defend yourself from evil zombies using a giant slingshot to launch brains and obliterate the zombies. 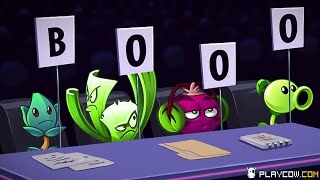 Prove your accuracy and knock them all! The zombies are hungry and want some brains -- the most delicious thing there is! Control one of them and try to turn every human into a living dead. Go after them and force them to leave their shelters! In case you choose to control a person instead, you will need to find where to hide and survive. For how long will you stay alive? Or... how many people will you turn? In this version of classic Snow Bros., Santa is the player character. Turn your enemies into ice cubes with your gun. Hordes of undead creatures are getting ready to launch an attack on your territory! Protect your borders from them and complete the missions you're assigned in order to defeat them. Enjoy this new release of one of the most incredible action platformers on Super Nintendo in 1993. It was originally planned, released and produced by LucasArts as a comical homage to classic horror movies from the 50s. 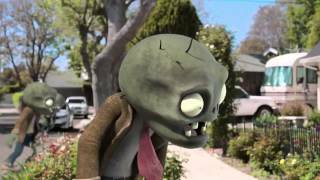 Help Zeke and Julie rescue their neighbors from a group of terribly hungry zombies. Have fun! Choose your party amongst lots of TV characters and let the snowball battle begin! Prove your reflexes and enjoy this dodgeball game. Enjoy this thrilling shooter that will remind you of 'Counter Strike'... with zombies! Complete your missions, get rid of dangerous bloothirsty enemies and survive for as long as you can. Will you obliterate them all? Help Pico, our main character, get the job of his dreams in order to earn enough to afford the most expensive presents for his girlfriend. Join a college and check your phone often in order to increase your skills. Which trait is the most important for you? You'll be the mayor of this small town, and your duty will be to defend your people from hordes of living dead. Gather enough gold, diamonds and food to unlock special skills. Good luck! Happy Valentine's Day! Launch birds at the females and make them fall in love. Beat each level with as few shots as possible. Enjoy these Bikini Bottom Carnival games with SpongeBob and Patrick! There are many to choose from, and you can either play on your own or against a friend. You're the only survivor face the zombies that are trying to get you. Our dear Angry Birds cannot miss Halloween! Can you still remember how to aim? Lead these birds to victory once more. 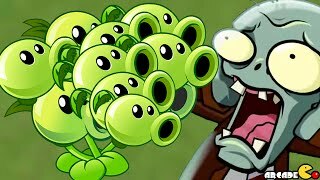 Try to survive this zombie attack! Look for survivors and take them to a safe area while placing barricades and getting rid of the zombies. Are you ready for some action? Help Jack obliterate mankind. Look for a way to shoot at all the humans in each stage – try to save the zombies. Enjoy this scary edition! Test your focusing and spatial reasoning skills in this fun Trollface game. Hit the structures with wrecking balls and obliterate all the zombies. Calculate the right direction and have fun! A deadly virus has been received through e-mail at an office, and everyone is turning into a zombie. 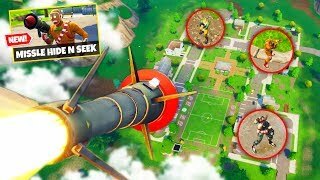 Help the survivors reach the exit where a helicopter is waiting! Solve challenging puzzles in 30 levels trying to reach your love. Avoid your pal to stay true to your choice! Prove your accuracy shooting at the zombies that are escaping from the cemetery. Aim and try not to waste any bullets! 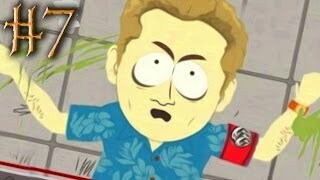 He returned the Zombie Demoilisher in the second part !! Demolish structures and kill their undead occupants with wrecking balls! 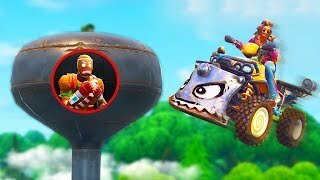 Place a wrecking ball on either side of the structure and release it at the right time so that it hits its intended target. Complete each level by killing of the zombies. Earn bonus points by destroying various objects and having wrecking balls left over. How many brains can you eat this Halloween night in less than 60 seconds? One of the biggest banks in town has been taken by a group of zombies. The police has sent their detectives Pam and Dave to investigate this weird happening and get rid of the zombies. Help them through this horrible task! You have been turned into a zombie right when you were confessing to your crush! You're still in love with her, so look for your girl through every stage. Scare and bite your enemies! Get rid of zombies in the world of Minecraft! You'll have to pay attention and use your axe to defend yourself. Have fun! Enjoy the most terrifying game! Every night, when you fall asleep, you find yourself in an endless nightmare from which you need to escape. Collect useful items, such as candles that light your way, and be very careful... You're not alone! What do these nightmares mean? Who's that girl? Will you solve the mystery? You'll control a vampire with a very special feature - he's vegan! Flesh and blood make him feel heavy and not very agile. Complete levels collecting fruit and vegetables, jumping on the platforms and trying not to fall near his worst enemy, garlic! McGroompy is a grumpy cupid who hates Valentine's Day... Help him destroy all the hearts he finds on his way. Are you ready to scream? You'll be inside a haunted house about which you have always heard all kinds of spooky stories. You never believed them, so you decided to find out what really is going on. Whay will you end up finding? Sudden uprise of zombies is threating humanity! Use the spikes to good effect to finish 'em off! Zombies Can't Jump 2 is an original and accessible tower defense game, simple to play yet challenging. During Easter the Easter Bunny delivers Easter eggs to children around the world. Before he can fulfill that task, you have to help the Easter Bunny by moving the Easter eggs to the designated storage locations. During Easter there’s a lot of work to be done, so the Easter Bunny would appreciate it if you lend a hand! Enjoy the most romantic version of classic mahjong! Match similar love pieces and make them disappear in order to clear the screen. Protect your girlfriend from the zombies from the hood of your car! Collect medical kits to keep her alive while kicking and dodging living dead guys. Good luck! Squeeze your brain playing this ancient chinese game styled for christmas season! Finish all levels pairing all tiles, clear the dashboard before the time's up. Good luck! Group 3 or more identical Christmas figures horizontally or vertically to remove them from the board. Break the score records and enter into the top 10. Help Santa Claus to throw all the gifts at the chimneys for every child in the world. Avoid all obstacles and complete your mission! Aim, launch huge snowballs and hit as many snowmen as you can! Put your accuracy to test to get a high score! Hordes of bloodthirsty zombies are approaching your city's barrier, soon they will break it! Be brave and defend your people's safety with your life. Send helicopters and shoot without control over your dangerous enemies to win. Bring the peace back, good luck! Match like-colored monsters in rows or columns to make them disappear and increase your score. Stay alert and enjoy your Halloween night with the creepiest creatures! Aim your weapon and get rid of these skeleton invaders! Shoot, hit and keep your three lives. Collect all kinds of weapons and explosives in order to make them burst whenever you need! You'll control Santa Claus, so drop as many presents as you can under the tree without being caught by the children. Don't run out of time! 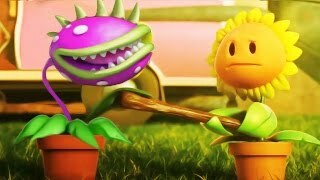 Plants Vs Zombies 2 3D 😘 Animation Official Trailer 植物大战僵尸! 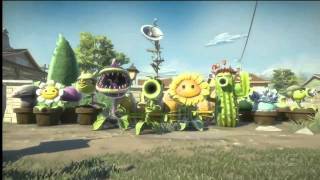 Plants vs. Zombies 2 Neon Mixtape Tour, Side A Trailer!